Nowadays, most of our iPhone and Android devices are equipped with a powerful camera. In fact, many of them can easily record videos in 4k resolution. Some even allow you to capture vivid images even under poor lighting. For these reasons, we rely on them to create magnificent and professional-like videos. Unfortunately, raw videos can’t give us the satisfaction we harbor from the edited one. 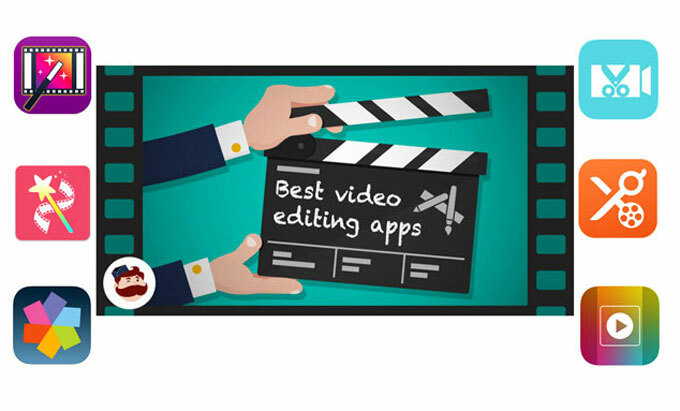 So, check out the list of the best video editing apps below to turn your boring videos into exciting ones. With the help of these tools, you can definitely produce amazing videos without using your computer. What are you waiting for? Hurry up and choose the app that suits your phone. When talking about iPhone, iMovie is the number one choice of many. This app is as good as its desktop version. You can easily cut, delete, merge, and re-arrange video files stored on your phone, iCloud, or iTunes. If you want to add the soundtrack, you can pick from the track and sound effects available on the app or from your music library. Moreover, you may add texts, filters, and transitions. There are also themes and templates that you can apply to your project. In just a matter of seconds, you can create your own Hollywood-style video. As for sharing, the app gives you many options. Some of these are sending your file through Mail and Messages, saving it to your library, and publishing it on YouTube. Because of these features, it is considered as the best iPhone video editor. As of today, iMovie is compatible with iOS running 9.3 version or later. 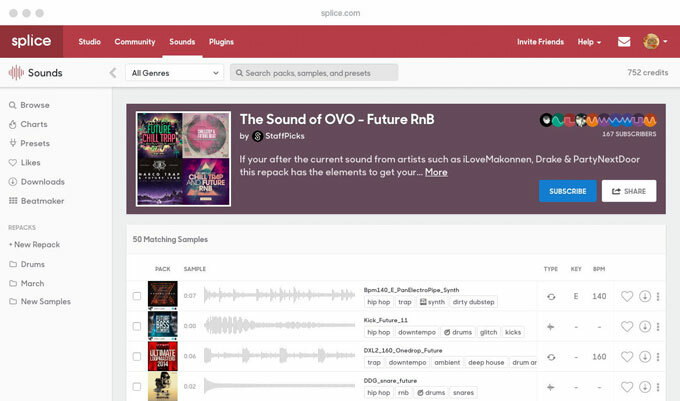 Another app that works well with iPhone devices, with iOS 9.0 or later, is Splice. Its intuitive interface makes it a great video editor. 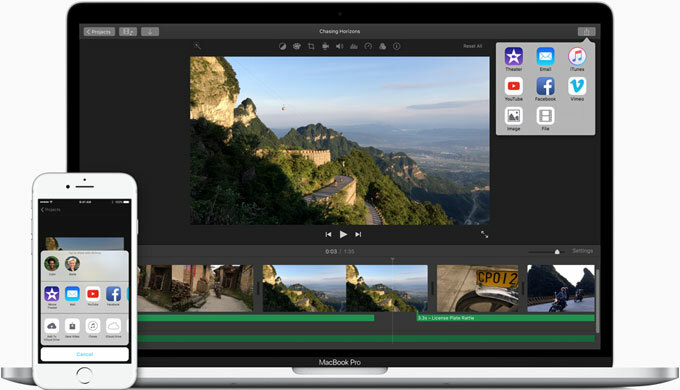 Now, by using it, you can cut, trim, merge, or crop video files effortlessly. Also, you may add stylish transitions, texts, and filters with just a few clicks. Like iMovie, you can import your soundtrack from the music library or add their free music to your project. The advantage of using this editor is that it automatically adjusts your video to match the audio. Thus, you don’t need a different application to sync the two. If you’re still not satisfied with the two apps listed above, you can try Clips. 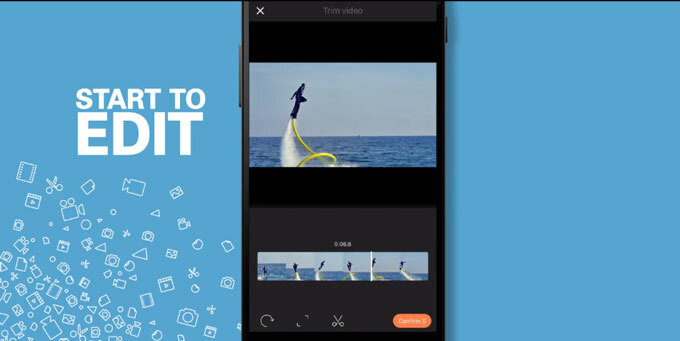 This is a free video editing app designed to make your videos more enjoyable. Aside from adding videos and photos to edit, you can also do real time editing by using this app. Besides, it enables you to adjust audio and keep it in sync with your video. Also, you can add texts, emojis, and background music. If you love to make fun videos rather than the formal ones, then this will be very useful to you. You can easily give your project a comical look by putting speech bubbles/arrow and animated backgrounds. The app is compatible with Apple devices with 10.3 or later iOS version. For Android users running 4.4 version and up, you may utilize Quik. It is capable of producing stunning video presentations. You can easily personalize your own videos by adding text, filters, and music. You can also let the app do the editing for you. Actually, it can detect objects and color and frame them accordingly. In addition to that, it cuts videos automatically upon analyzing it. Of course, you can also do this manually by yourself. Like other video editor apps, you can choose styles that will suit your themes. These styles are thoroughly arranged with transitions and awesome graphics. In the event that you want to share your file, you may publish it on Facebook, Instagram, send it through WhatsApp and MMS, and save it to your library for future viewing. The second application that can edit videos on your Android is VideoShow. It’s a completely free editor that puts no restriction on users. 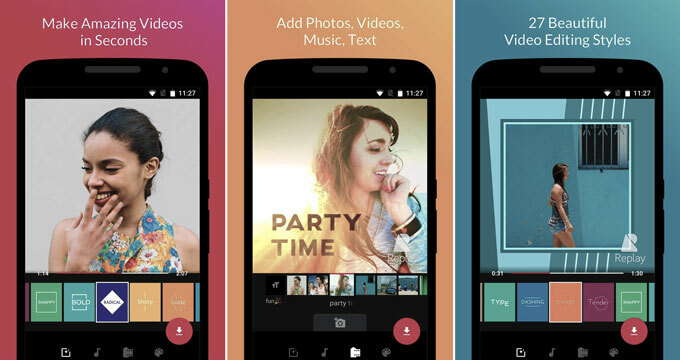 You can trim, merge, delete, and collage videos on your phone. You are also allowed to put themes, filters, gifs, emojis, and subtitles on your project. Additionally, there are thousands of songs that can be used as your music track. And if you want, you can add your own narration/recording of your voice. Aside from its editing function, it can also compress, reverse, resize, and convert videos to MP3. 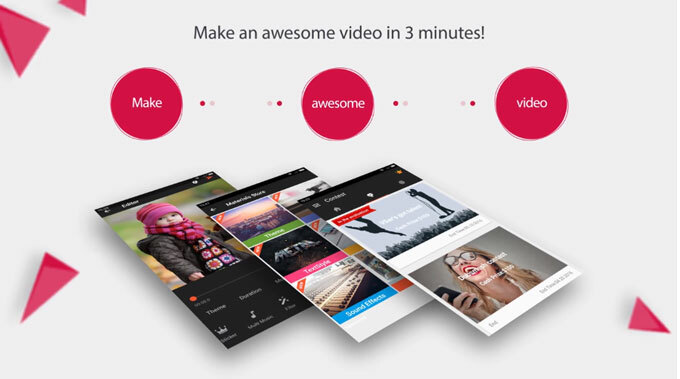 With almost 6 million users, VivaVideo is considered to be the best video editor for Android. It is efficient in generating high-quality videos because of its advanced editing features and easy-to-use interface. You can merge, cut, and trim videos as you like. Moreover, you can input text as well as apply filters, stickers, and emojis. Meanwhile, there are numerous themes that are great for different occasions (e.g., birthday, holidays, and weddings). And you can readily share it on your social media accounts. This app works perfectly on Android running 4.0.3 version and up. When you’re done editing your videos, you might want to store them on your computer to free up space on your phone. For this, you can use AirMore. This is a free online sharing tool that works with Safari, Google Chrome, and Firefox browsers. It allows the wireless transferring of videos between Android/iOS and computer. Moreover, it enables you to move a huge amount of video files simultaneously at high speed. The app also retains the original resolution of your file so you don’t need to worry about having low-quality videos. Aside from transferring videos, you can copy pictures, music, documents, and other files stored on your phone.